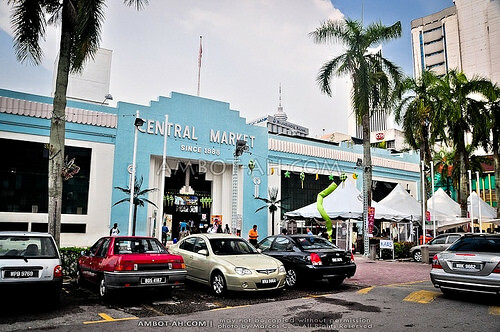 Being a self confessed “urban development junkie,” sparks of excitement come out from inside me whenever I think about getting to visit iconic places in person, especially those I usually see in NatGeo’s “Mega Structures” or read about in SkyscraperCity. 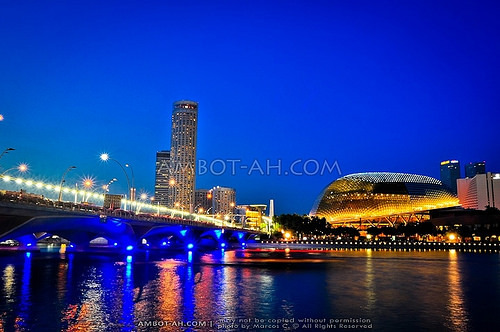 Our tour of Singapore took us on a walkathon along the historical attractions of the Singapore River and around the fascinating man-made marvels of the Marina Bay area. 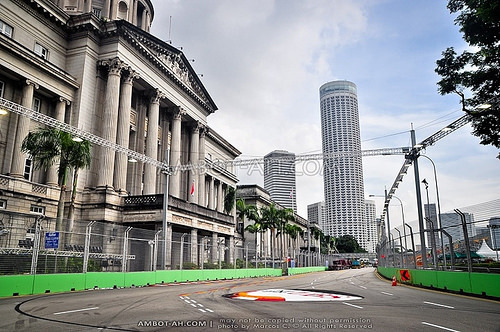 I HATE that it was the F1 weekend during our visit since many of the major roads were closed down to be used as race tracks for the Singapore F1 Night Race (Grand Prix). 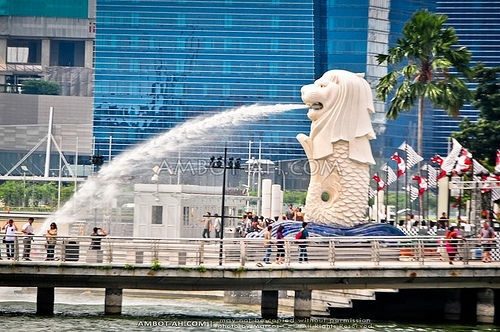 We had to make tiring detours to get to places near the Merlion and the Esplanade … we also didn’t get to experience the Singapore Flyer or the Marina Bay Sands SkyPark coz they were closed down for private functions (I was really looking forward to capture the nice view). 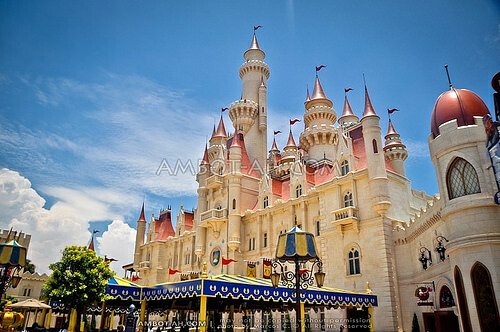 Of course, a trip to Singapore is not complete without visiting its famed theme parks. 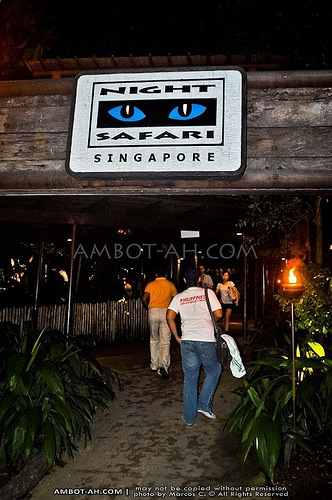 We went to the Night Safari and Universal Studios in Sentosa Island. 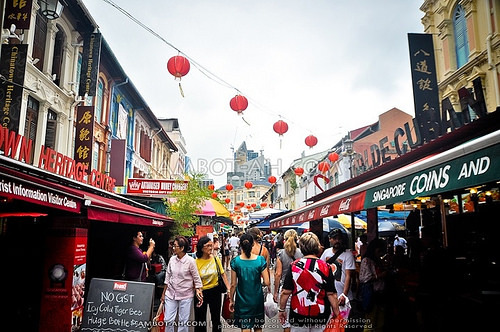 We also did a walking tour of the city’s Chinatown to get a better grasp of the multi-cultural facets of Singapore. Futile Attempt to Get Shots during the Tram Ride. 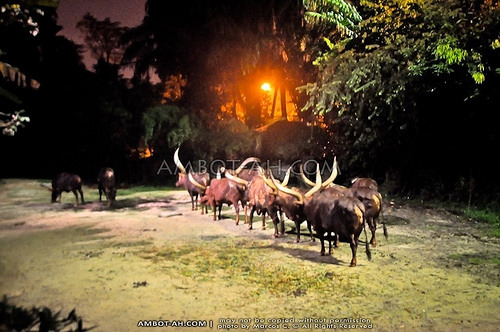 If you’re planning on taking photos of the animals, best to visit the Singapore Zoo during daytime since most of the animals in the night safari can also be found there. Standing at the islet across Sentosa’s Palawan Beach, known as the southernmost point of mainland Asia. 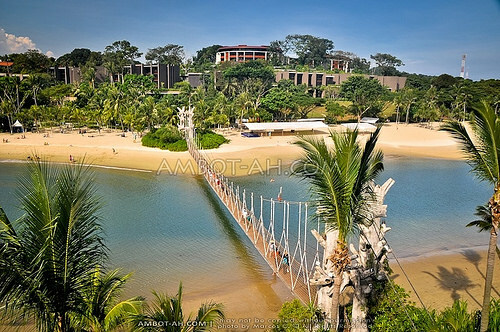 As most of you have already guessed, the man-made beach is named after the island province in the Philippines. That UFO-like building covered in the back is so disturbingly tacky. It’s actually the new Supreme Court Building … talk about ruining a whole block of gorgeous old buildings. 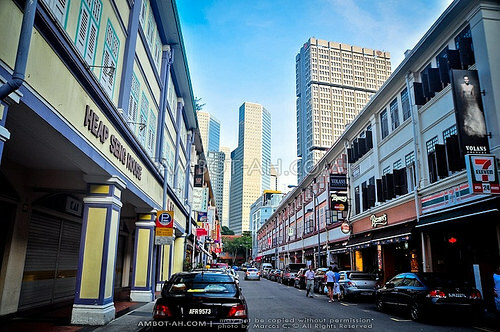 Singapore’s China Town. There’s also a Hindu Temple and a Mosque in the area. 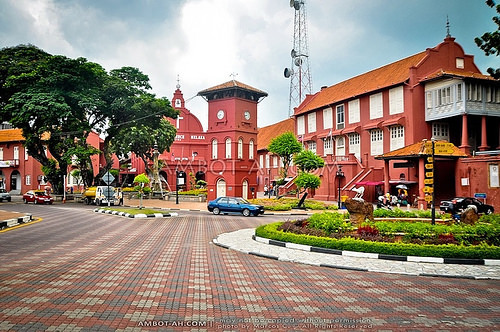 After taking advice to cancel our original plan of taking the night train direct to Kuala Lumpur, we decided to take the bus instead and make an overnighter half-way at Melaka. Good thing we did! It required some convincing to my other siblings on my part … We don’t exactly have the same travel preferences. I’m usually the one to pitch the idea of doing DIY walking tours and visiting historical places. Without me, they would probably prefer to go on hassle free guided tours :D We started our sightseeing of Melaka the early morning the next day before heading out to Kuala Lumpur. 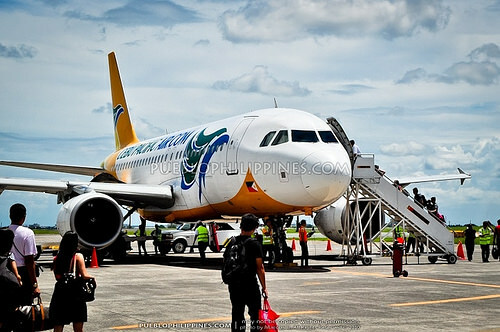 We were scheduled on the early morning Cebu Pacific flight back to Manila (NAIA) from Kuala Lumpur. 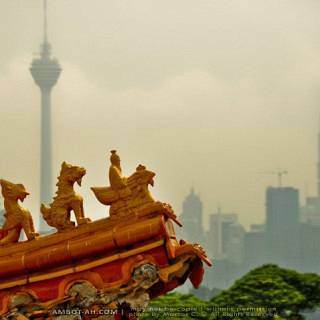 It meant having one last full day for KL. 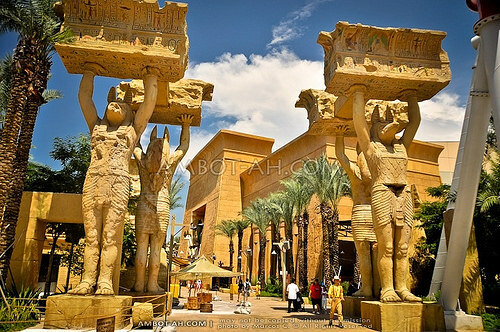 During our limited time, we did manage to visit a decent share of its attractions. On our way to the airport in Kuala Lumpur, we made a quick stopover in Putra Jaya just in time for the sunset. 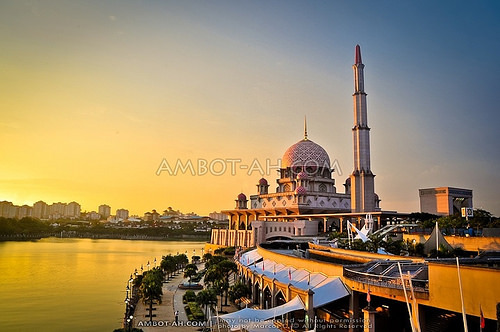 Seeing the massive pink mosque along the river with a warm glow was one of the highlight of our trip. 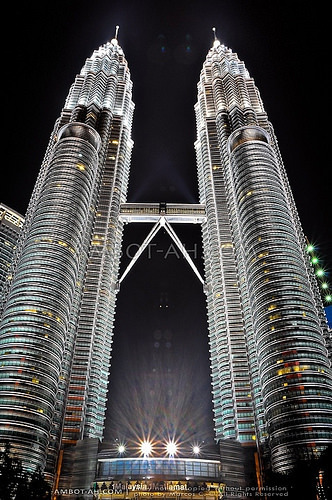 Nightshot of Petronas Twin Towers, formerly the tallest building in the world (#5 and 6 as of the time of writing). 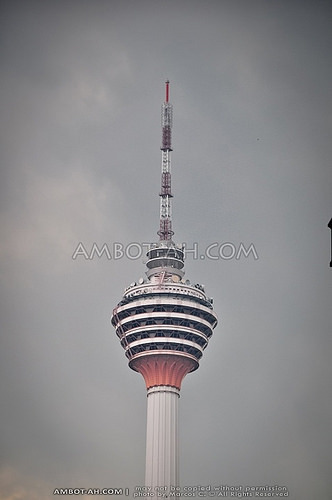 My only photo of the KL Tower. Didn’t get to go up the viewing platform because of limited time. 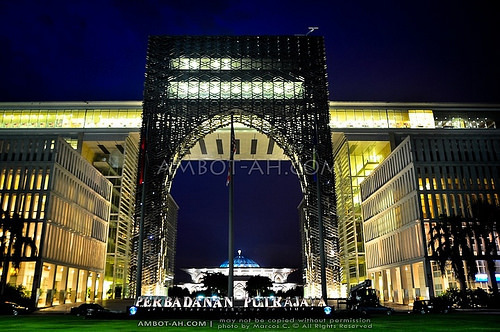 Perdana Putra in Putrajaya. 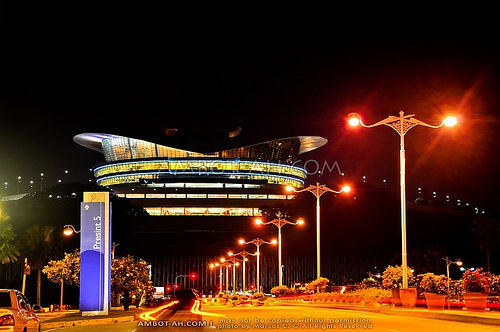 This building is the office complex of the Prime Minister of Malaysia. 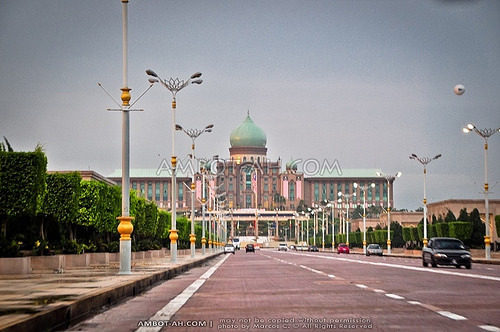 The sprawling expanse of Putrajaya was masterplanned as Malaysia’s center of government. 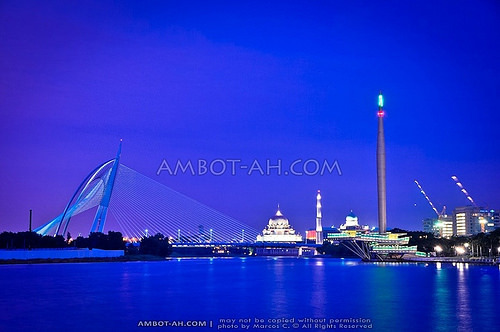 Seri Wawasan Bridge towering above the Putrajaya Lake. 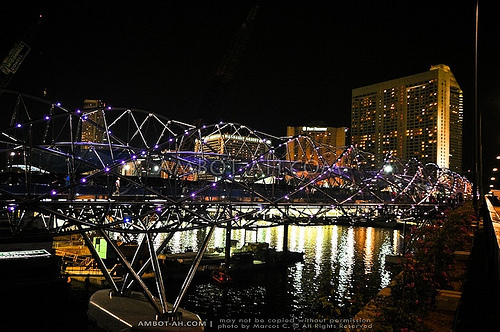 This particular bridge is one of my favorite bridge architectures. I just love its elegant profile. 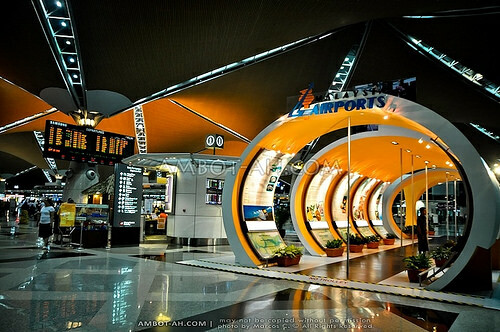 Kuala Lumpur International Airport. KLIA has very nice interiors. 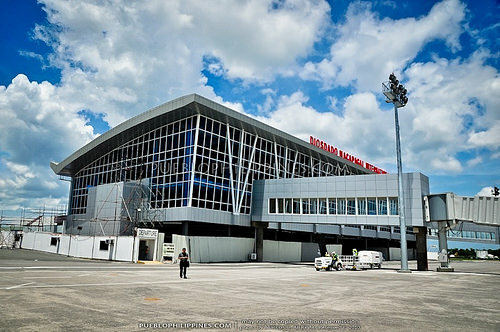 Since we were flying with Cebu Pacific, we still had to take the airport shuttle to KL’s Low Cost Carrier Terminal (LCCT) for our return flight. I just love the feeling of arriving in a new place … being thrown into a whole different setting from what I’m used to at home. I think that’s my major driving force to travel. I love taking in unfamiliar perspectives and breaking the norm of staying put in one place … It’s my long term dream to travel to the world’s most fascinating destinations. I still have a long way from where I am right now but I’m sure I’ll get there as long as I can find my way on the right path. 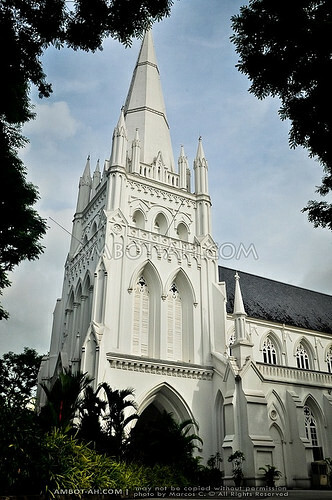 View my updated Singapore Travel Guide at Detourista.com. Find more posts about Favorites. 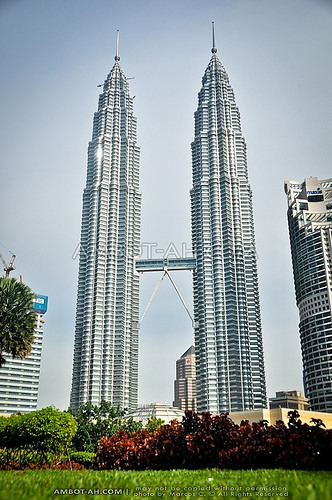 Discover more blogs and travel tips in Malaysia, Singapore, Kuala Lumpur. 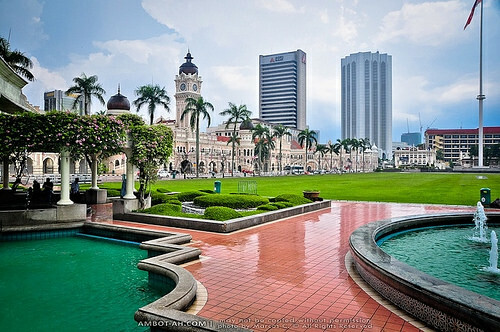 Putrajaya is one awesome city built from scratch, it represents Malaysia’s economic success. 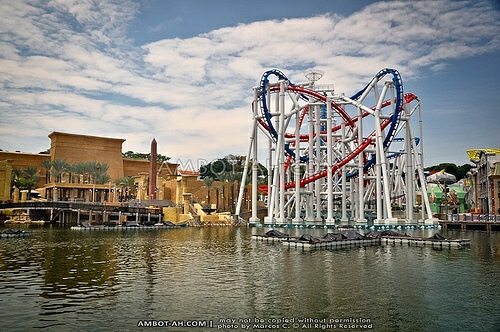 I wanna go back to Sentosa to check on the Universal Studios. The only problem going to these countries such as Singapore and Malaysia and even Hong Kong, close neighbors of us is when you return home you realized everything that is lacking in us, the orderly, the process, discipline and the efficient mass transit system. I was more impressed with Putrajaya than with the Petronas Twin Towers. 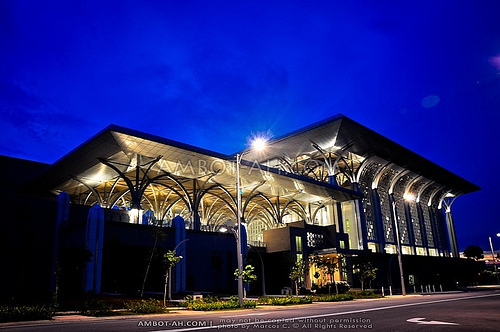 The scale of this whole project is so massive and the architectures are done in good taste … next time Cyberjaya naman. That’s so true Marky but I try not to think about it too much. Definitely, we deserve better but at some point we also have to make the most of what we have for the moment. I’m still optimistic that our country will get “there” in its own time. have just read your blog and i think your trip was only last year if im not mistaken. 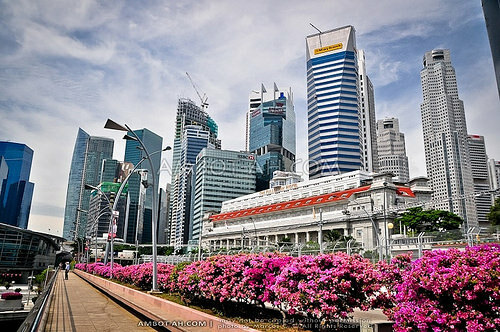 im from iloilo also and currently working here in Singapore. you can stay for free in our place if you want to come back and tour Singapore again. 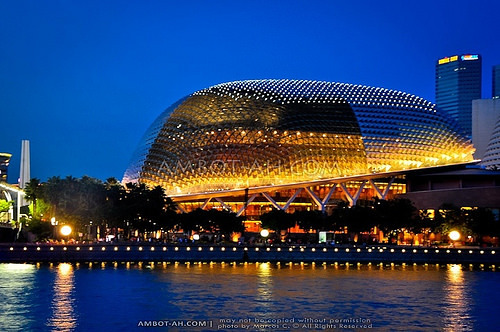 Singapore is a gateway to most Asian countries such as Indonesia, Malaysia, Thailand and other neighboring counties. 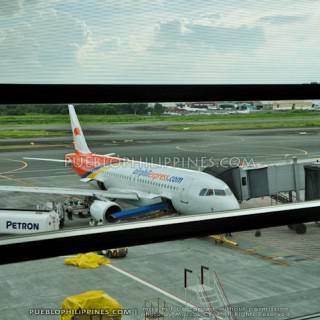 I suggest on your next flight you take Airphil express as it cheaper compare to CEB and utilizes Changi terminal 2 facility and not the budget one. 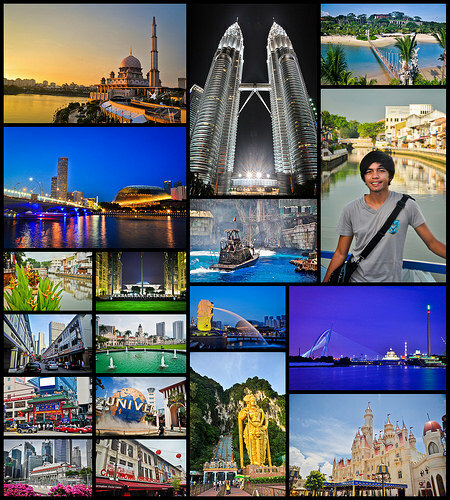 Hoping to read more of your travel experiences and thanks for sharing your photo shoots. I’m a traveller too and love taking pictures on my free time and during holidays. 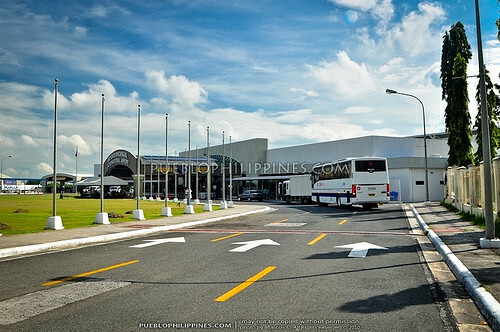 i’ll be seeing iloilo again in a couple of days!!! Hey AL! salamat guid sa invite. Dumduman ko gd ni next time nga mag plan ko SG trip. 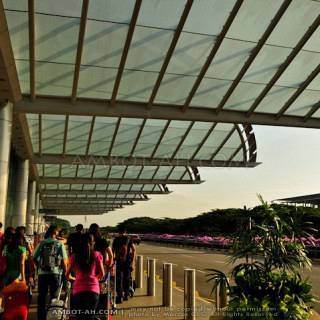 Great tip on AirPhil, I’ll highly consider it next time so I can experience landing in Changi T2, hehe. Hi Chymeraoo and AL. 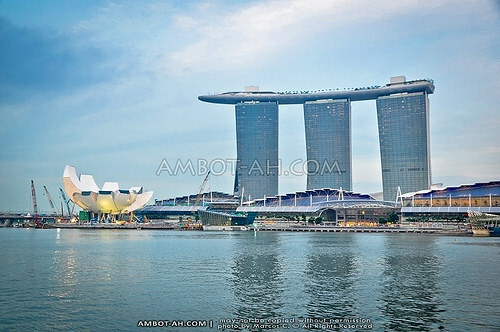 I and my 3 companions are booked on Feb. 1-4, 2012 clark to singapore. I read AL’s invitation and made be a “little bit intereseted” :D I also plan to go to malaysia for a 1 day tour and be back to singapore same day. but don’t know how to go about the travel thing. Kindly help me do my itinerary with the limited time. 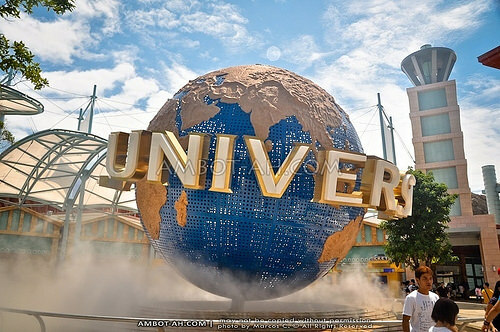 Also, Kindly give me an idea of how much will it cost me going to Sentosa and Universal Studios and Malaysia Tour. Thanks so much. Depends on your destination in Malaysia. 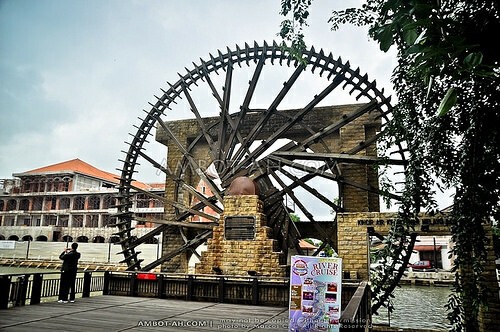 Melaka is a great place to visit for a day tour from Singapore. 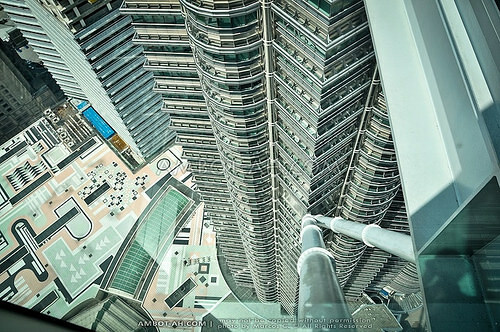 I’ve been wanting to see the Petronas Tower, but haven’t got the chance to go to KL. My friends told me that the only thing worth seeing in KL is the Petronas, but it seems there are lots more, like the Pink Mosque. 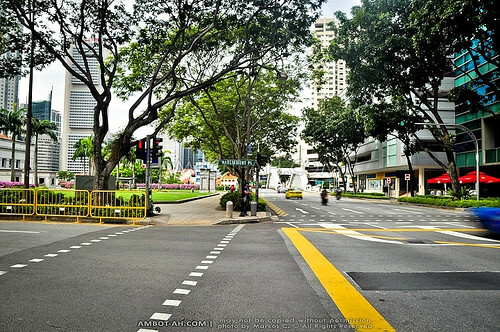 We just visited SG last early May. 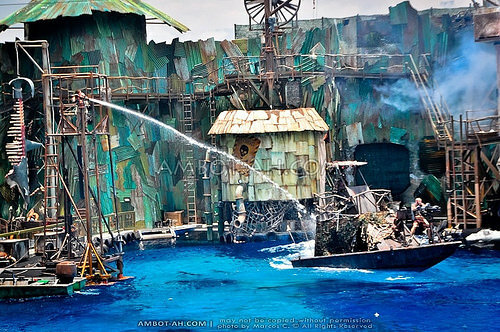 During that time, the Universal Studios globe was covered. I’m not sure if it was being repaired or what. 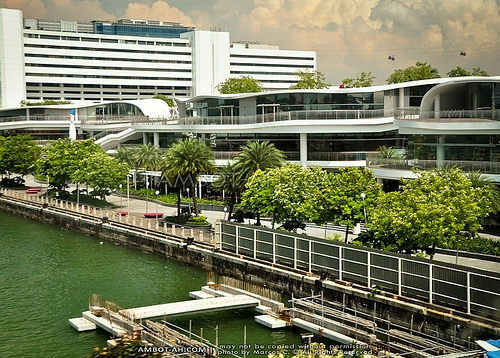 Nice shot of the whole Marina Bay, including the Art Museum. 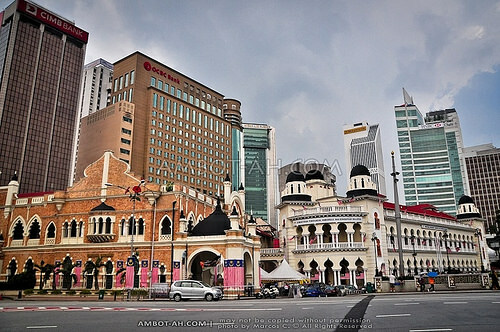 Ahh… I’m sure KL has many other interesting places to visit. Too bad we didn’t have enough time to explore the city more extensively. 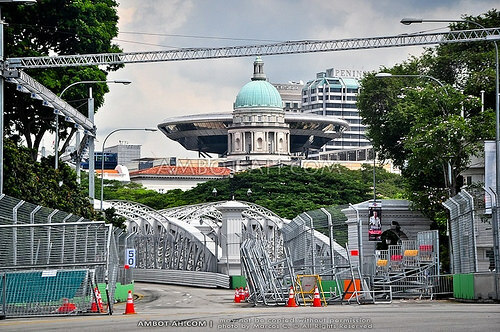 We’re going back to SG and KL this September, although 2 weeks ahead of the F1 event, I’m still a bit worried, ayayay! Great shots! 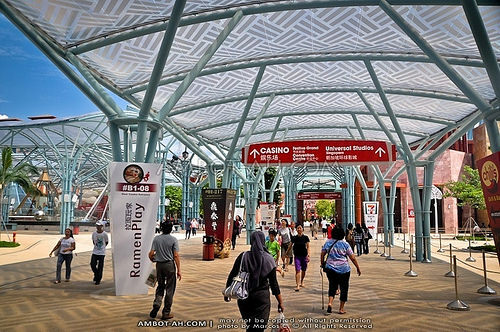 How did you get around Putra Jaya? i’ve read transport options there are a bit difficult to find. Hey kim and mj. 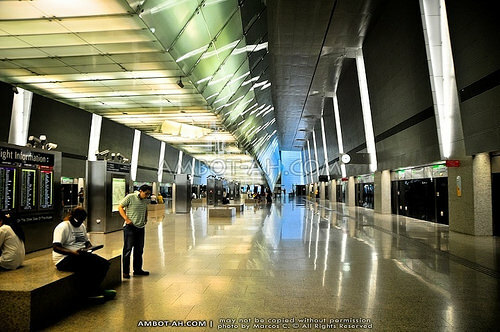 That’s what I read in other blogs too … from what I’ve researched, the KLIA Express (train) has a stop in Putrajaya. Then from there, you could catch a bus to get you to the city center. I’m not so sure about the buses from KL going direct to Putrajaya. We hired a taxi to get us from KL Sentral to KLIA and asked the driver if he could show us around Putrajaya along the way. I think we paid MYR100 for it, which wasn’t bad since there were four of us to split the fare. Hey man! Love reading your post. I am a Singaporean by the way. 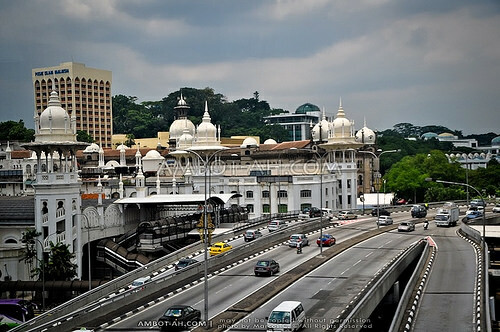 One tip if you want o go to KL or Melaka from Singapore, do take the bus that departs from Johor Bahru (Southern Border city of Malaysia facing Singapore). 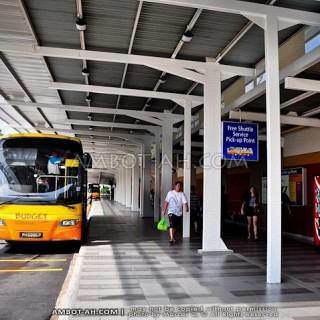 The bus from Johor Bahru cost only SGD8.00 for Melaka and SGD12.00 for KL. 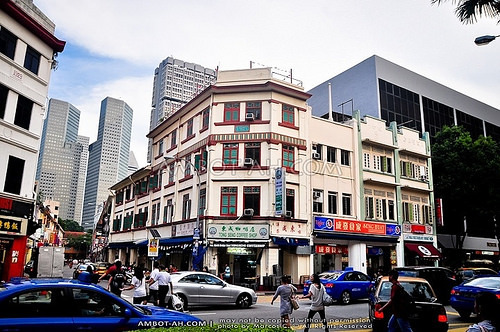 Likewise if you were to depart from Singapore, it will cost SGD32.00 and SGD40.00++ for KL. So you see the difference? Its not much of a distance from the border checkpoint. 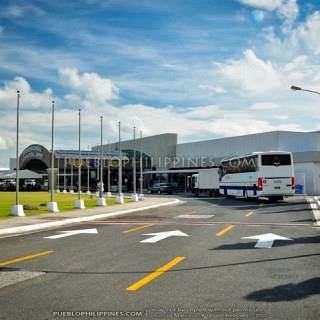 By the way, I can’t wait to visit Philippines in July and December! Thanks Shaifullah! That’s what we did too, the price difference is quite significant to pass it off. 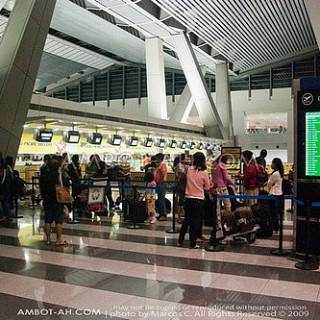 You have a nice blog :) Hope you will enjoy your trip to the Philippines. Its great that you’re going to Siargao, the waves there are real good (I haven’t tried it when I went there but the surfers looked like they were enjoying themselves). If you have any questions for your trip to the Philippines, I could give you some tips. I just want to ask if its better to travel from SG to KL by bus or plane? 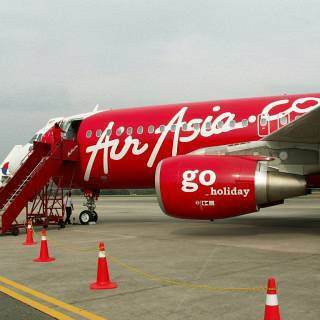 Because if I’m going to based it on the SGD 40 rate you’ve said, it seems like it’s more cheaper to take airasia. Hope you could help me out on this one. Thanks! Like what SHAIFULLAH SUDIRMAN mentioned, you have to travel from SG to Johor Bahru first and then take the bus to KL from there. It will cut the transportation cost in half compared to riding the direct bus from SG-KL. to travel international. so excited!! Kranji Station, crossed to the other side of the street (via the elevated walkway), rode bus#170 going to Johor Bahru … the bus will drop you off at the Malaysian Immigrations, after you’re cleared, another bus (with the same bus route) will take you to the bus terminal (make sure to ask whether the bus you’re on goes to the terminal for buses headed to KL). Malaysia is quite safe, general rules of traveling safely applies. Good luck on your trip! Wow, grabe… i am going to do the same thing next month… I hope you’ll post your expenses so I’ll have an idea how much should I put aside. :) Nice post, Marc. 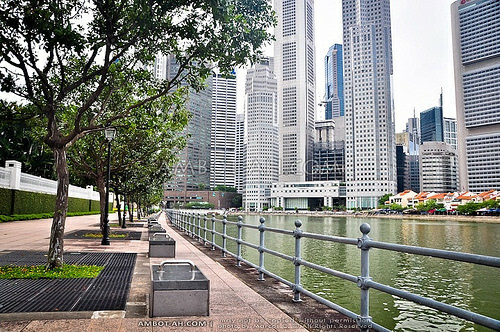 Nice pictures all places all over Singapore especially the Esplaande! 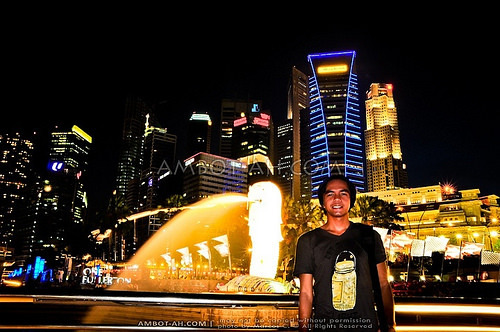 So much fun on my visit to Singapore, hope to visit this place again. 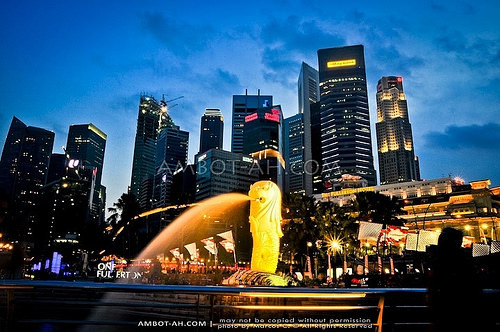 Thanks pinoysingapora … I’ve stalked your blog for possible places to go in Singapore… next time, I’ll make sure not to go on a major event so I can go around the city more comfortably. how much did you spend for this trip? thanks marcos! super helpful ng it na to parang gusto ko gayahin nalang as is hehehe! you’re welcome :) If there was something I would like to change. 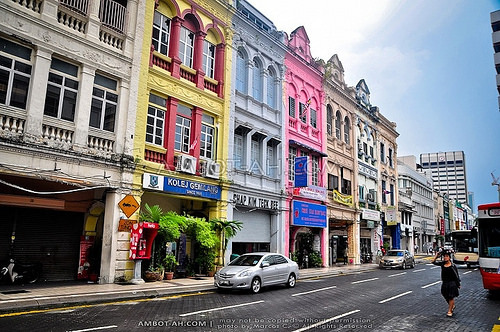 It would’ve been to spend more time in Melaka. Today we are building a specialized budget air terminal. Cheap and fast accessibility is an advantage. Mabuhay Marcos, love to read your blog! By the way, I’m Malaysian! 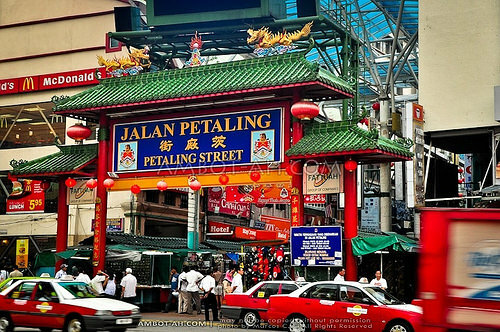 Next time, try to visit Penang as well… Penang is one of the destination in Malaysia that not to be missed! 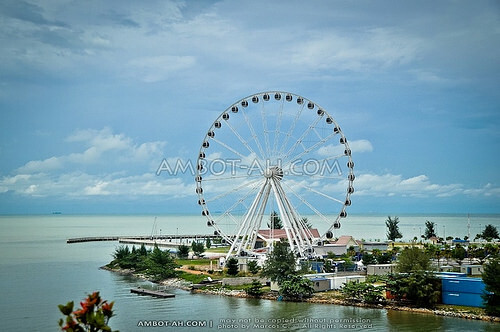 If you intend to visit Malaysia in the future, you may contact me! I love to show you around. 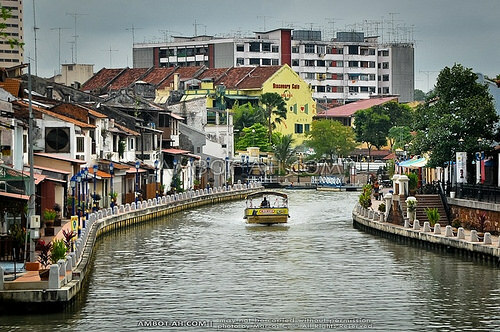 I’m stay in Malacca by the way! Marami salamat! Hi! 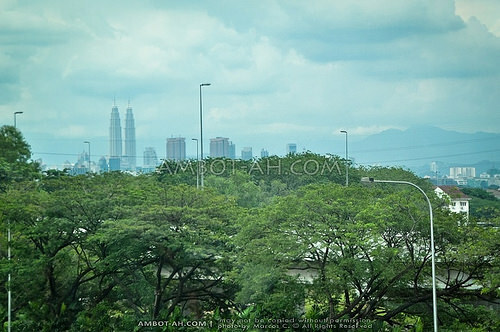 I would just like to ask where your vantage point was to see that view of “Seri Wawasan Bridge towering above the Putrajaya Lake”? I took the shot from the backside / riverfront area of the Iron Mosque. I’m set to visit SG and Malaysia this last week of Feb. 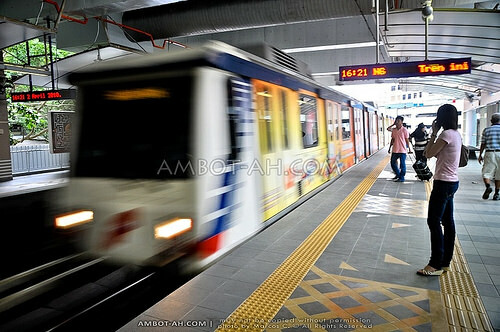 Question: Why didn’t you take the night train to KL and took a bus instead? The night trail took longer and was more expensive. 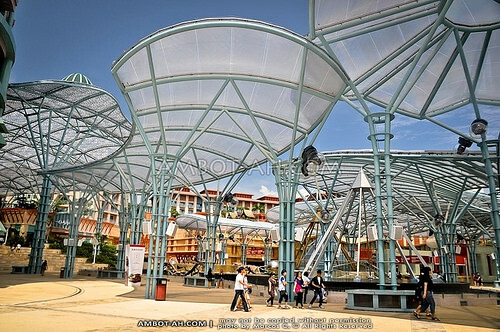 It was more convenient for us to take the bus since we were excited doing a stopover in Melaka. Hi! 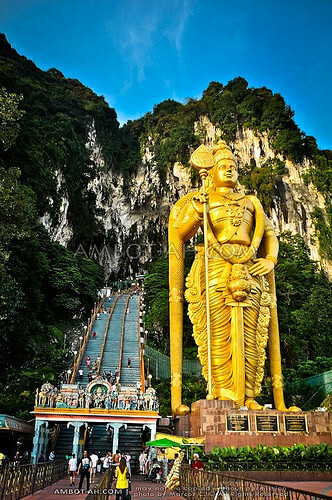 I’ve come across of your blog while looking for a budget-friendly yet exciting first time tour to SG & Malaysia. It’s seemed fun (except perhaps to the F1 race you didn’t expect!) 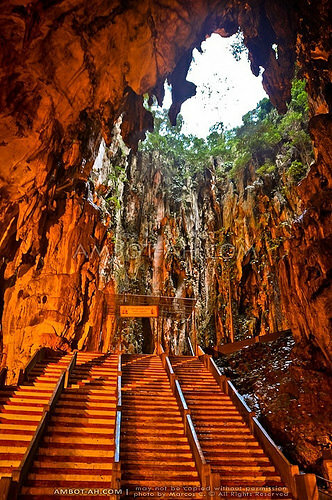 My hubby & I would like to go to SG & KL on Apr 2-5, but he’s not comfortable in not getting a tour guide, which is kinda not my idea of exploring a country for the first time for I’d rather do like what you did–explore by foot, literally! (though I’ve had first time jitters). So, where did you book your flight? Any advice? Btw, I’ll be taking your notes in hand, just in case I convinced my hubby to be more adventurous! Thanks for the details!